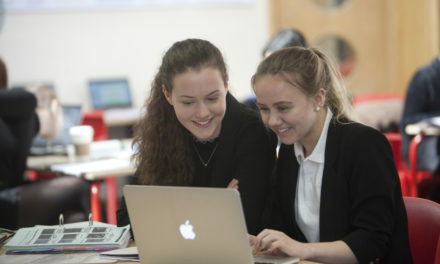 At Sandringham School, we have had a one-to-one device policy in place for the past four years. This has transformed the learning landscape for teachers, students and parents, allowing them to undertake time-shifted and place-shifted learning. Effectively, the school reach has been extended by student’s ability to access digital resources in traditional classrooms, on the move and at home. Our approach to blended learning seeks to promote excellence in classroom teaching using traditional and non-traditional media. Facilitating blended learning in our classrooms enables our student’s learning to extend beyond the classroom with online resources, independent study, collaboration and flipped learning approaches. 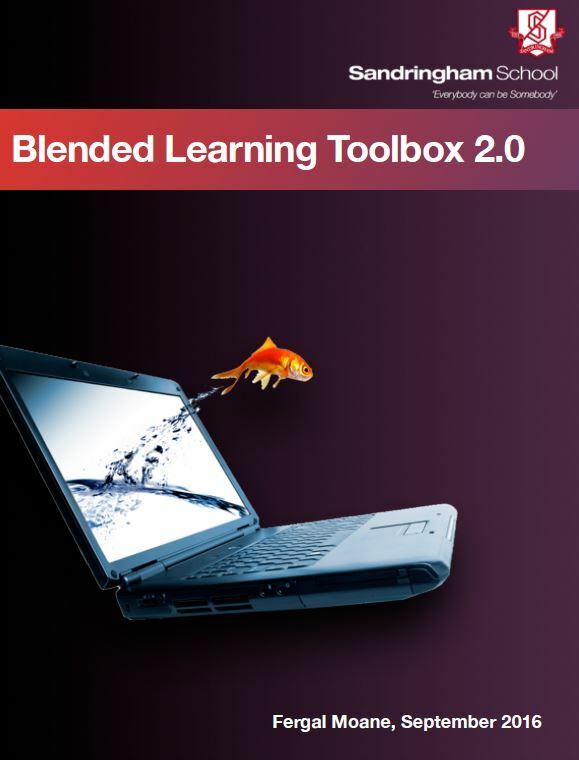 Our Blending Learning Tool Box for teachers fills out the ‘leaves’ on our Blended Learning Tree with subject-specific applications that teachers and students have actually used, found useful and would recommend. 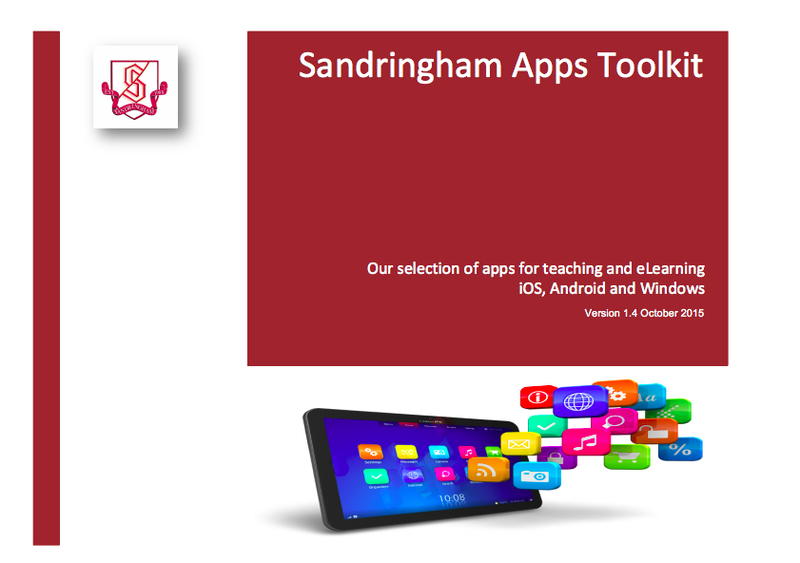 The ‘Apps Toolkit‘ is distributed to students and parents and provides a list of recommended apps across iOS, Android and Windows platforms. 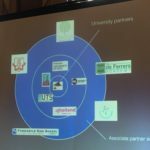 These are organised by learning function and students are asked to have these apps available on their devices to support learning. It can be found here.